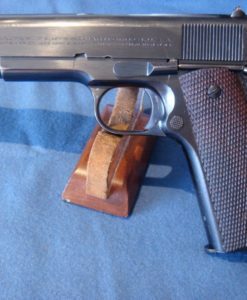 In excellent all matching condition, we have a very early 1942 production U.S. 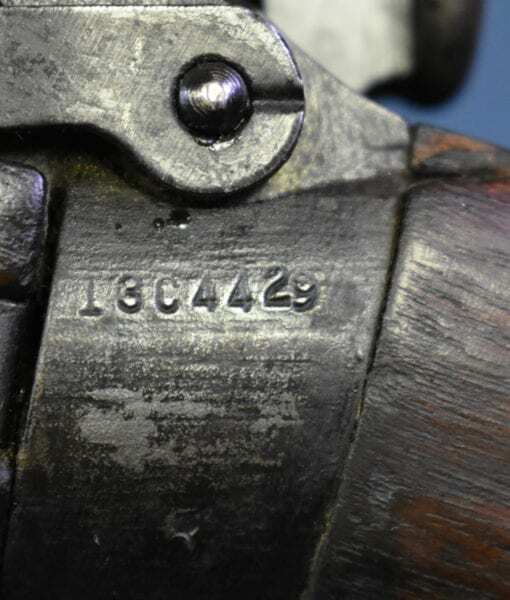 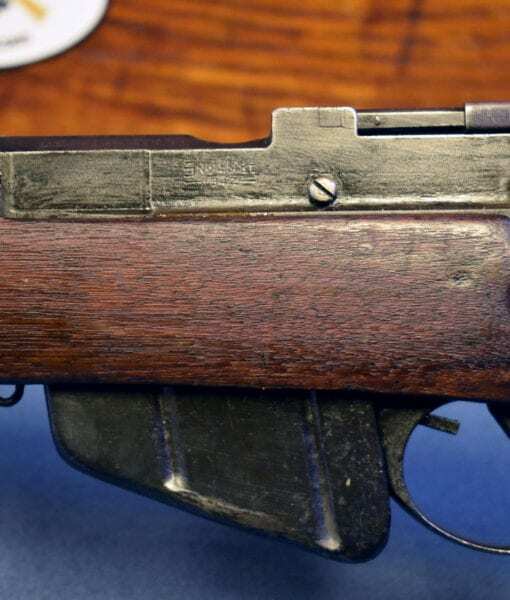 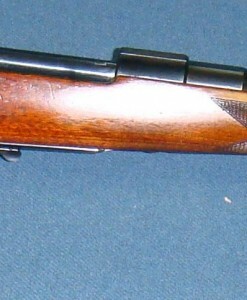 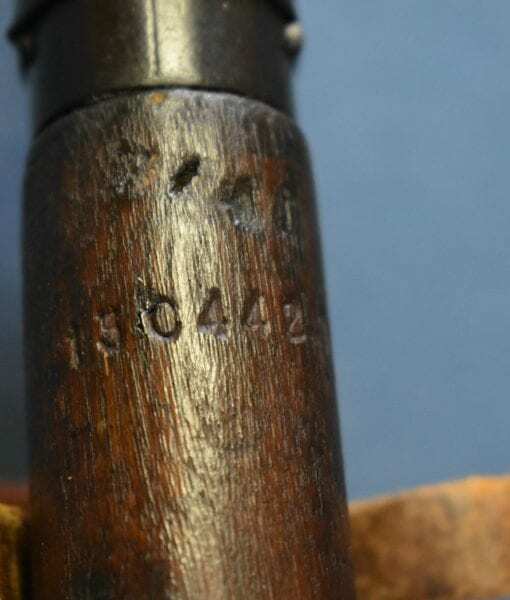 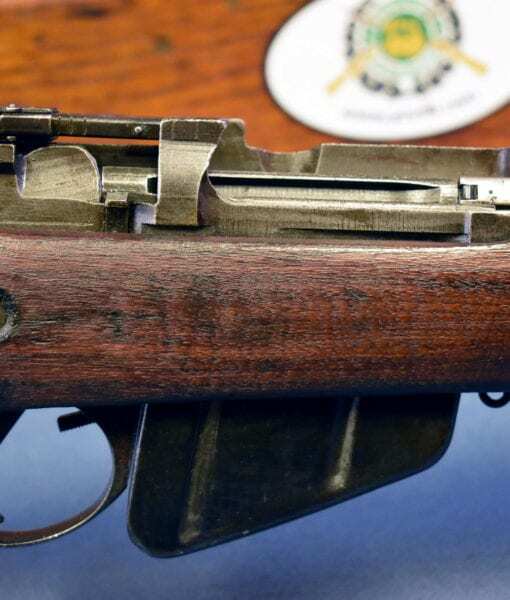 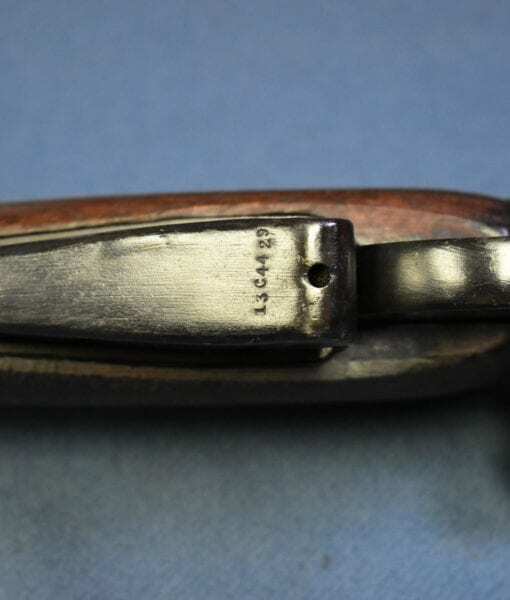 Lend Lease Savage Arms made No4 Mk1 Lee Enfield British Service Rifle. 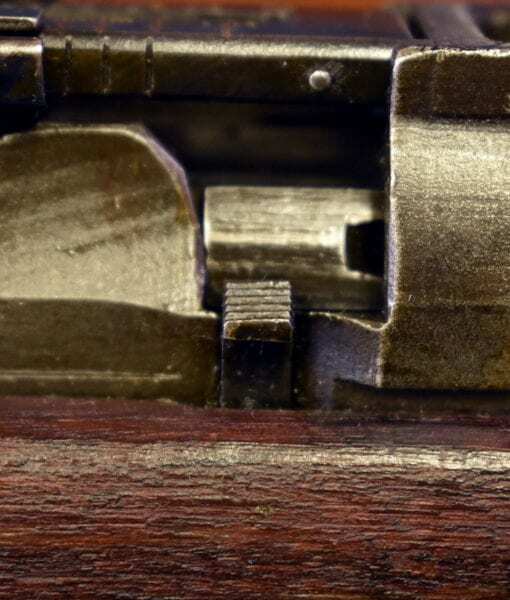 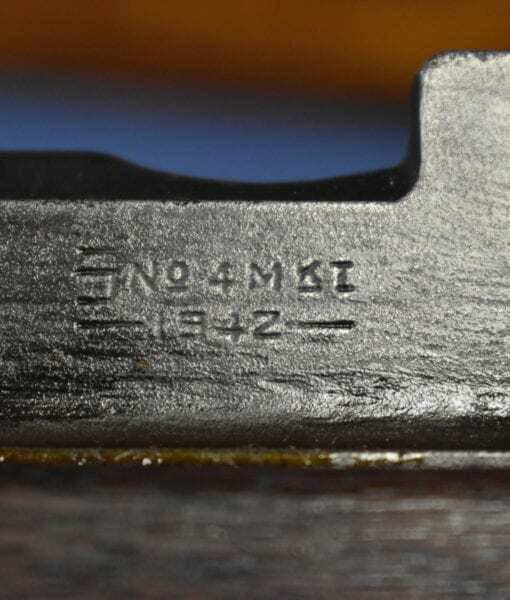 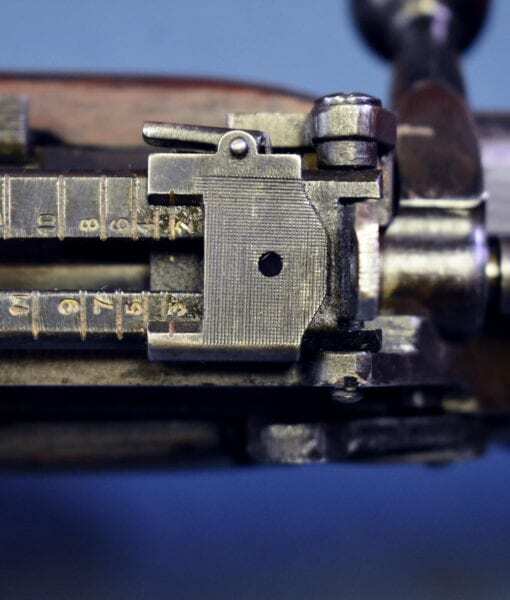 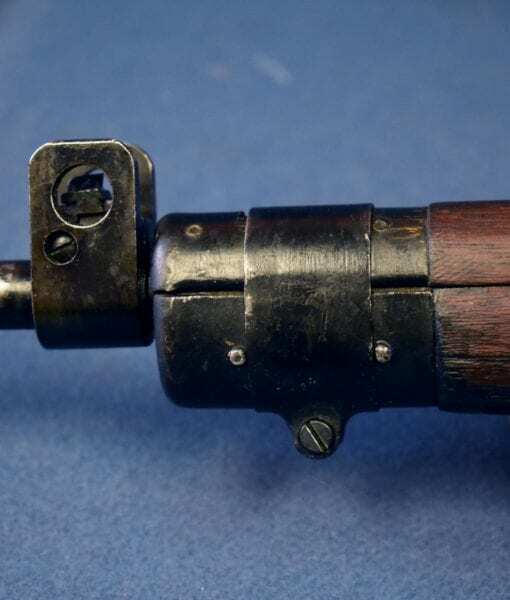 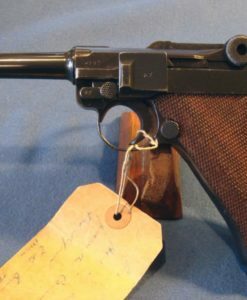 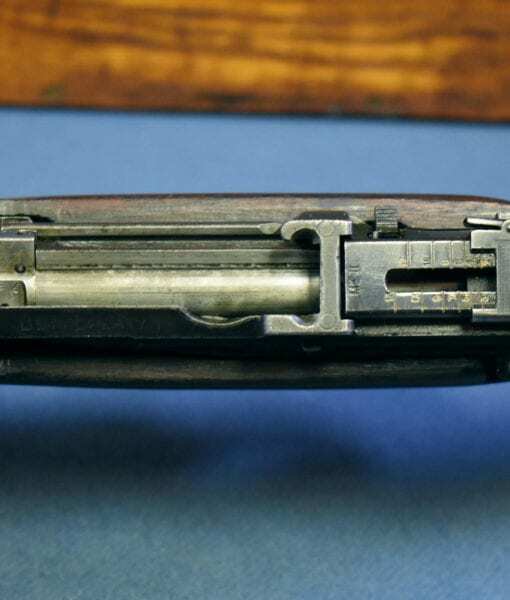 this is the very scarce Mk1 rifle, not the more commonly encountered Mk1∗, which has the later bolt take down slot and other simplifications. 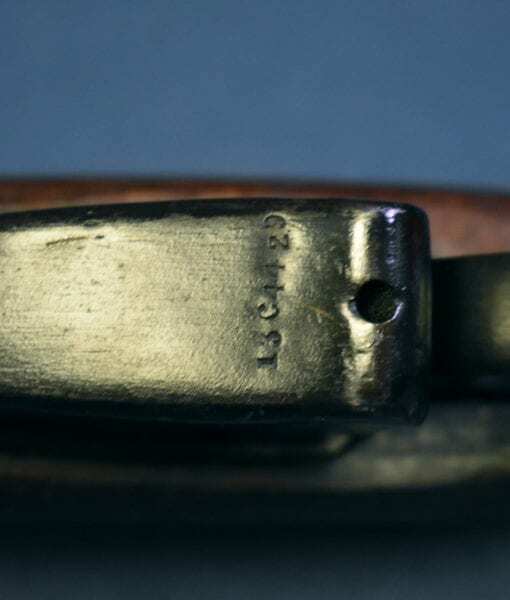 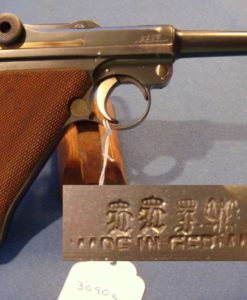 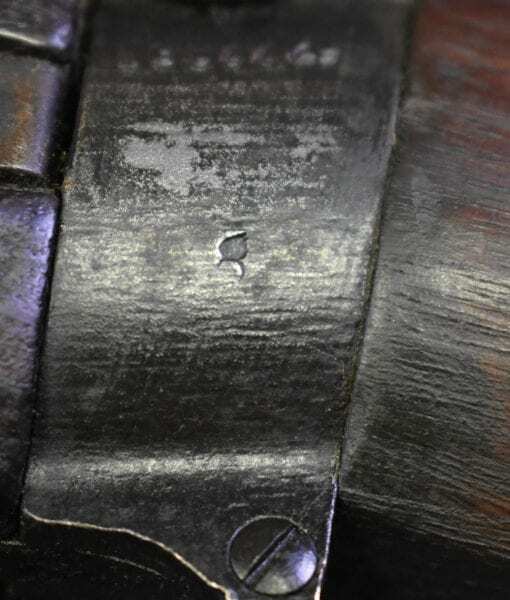 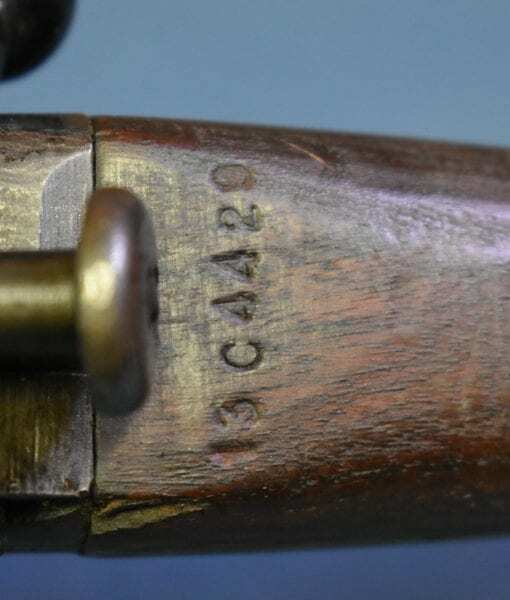 The rifle is not import marked. 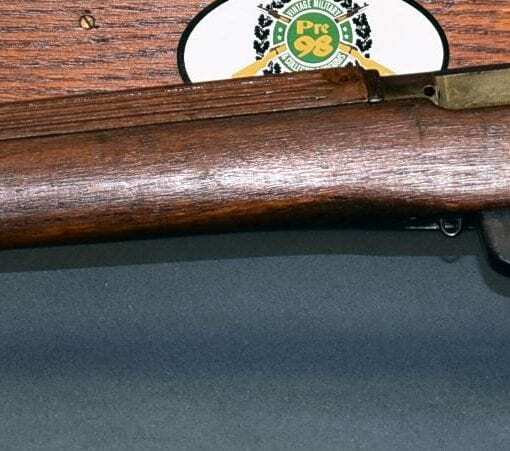 These rifles were made at the Savage Arms Plant in Chicopee, Massachusetts and were provided to Great Britain as part of the Lend Lease program. 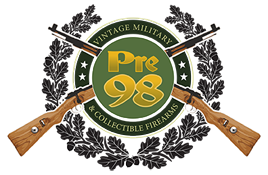 You will not that they are marked according to US Military Ordnance conventions, with the “flaming bomb” and “P” proof mark and the “U.S. 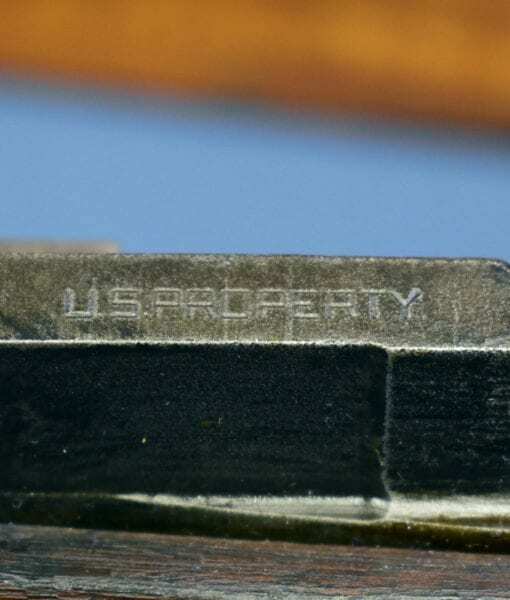 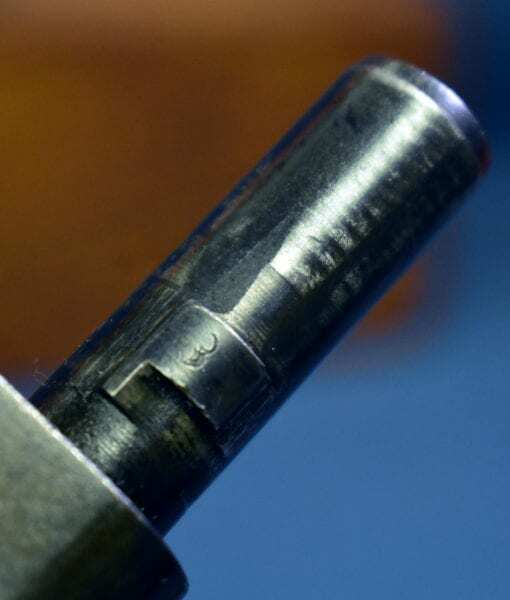 Property” marking. 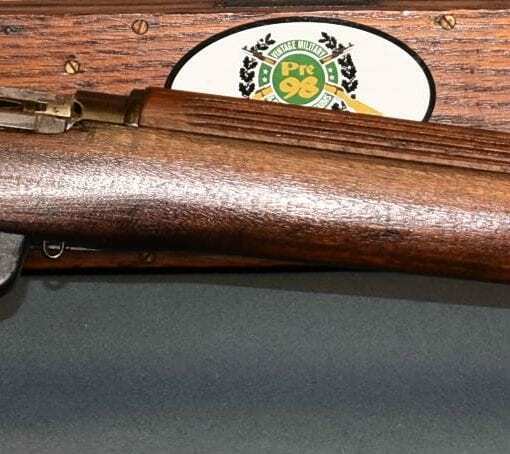 Today, these are among the most popular of the No.4 Enfields among collectors and that certainly has to do with its American origin. 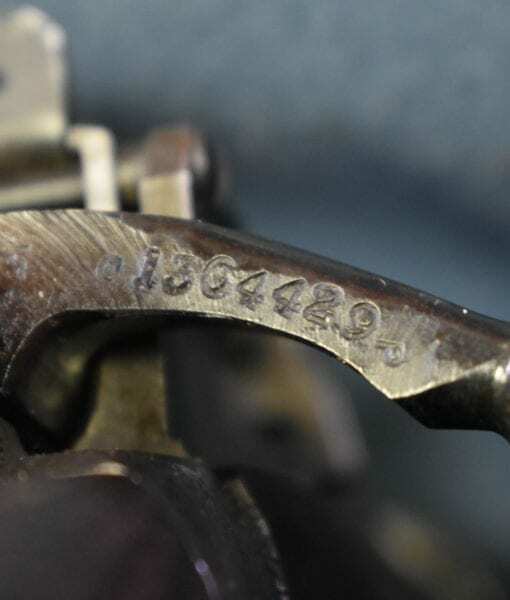 This is a very hard variant to locate.